about the research project conducted by the Korea Centers for Disease Control and Prevention on the drinking habits of South Korean college students. 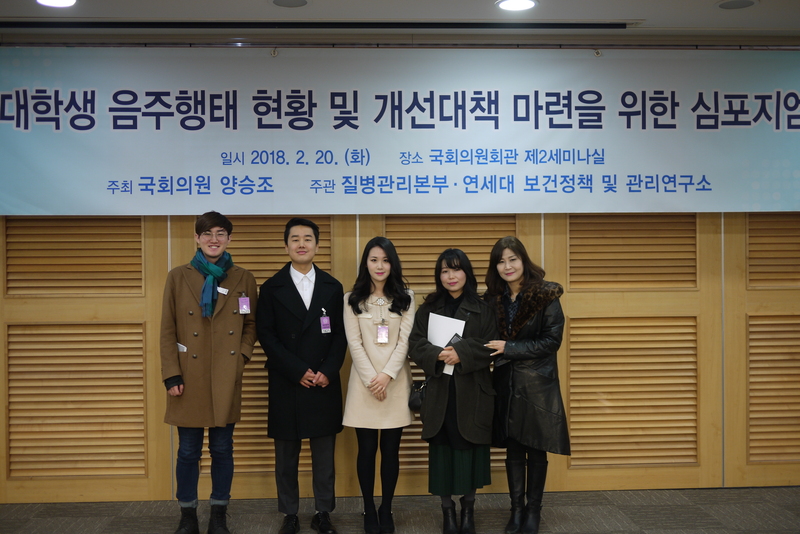 At the symposium, the speakers were amazed to hear about the wonderful history and work of the WWCTU and how the WWCTU network came together as one last year to survey the drinking habits of over 500 college students from around the world, as well as 5000 Korean college students. Hopefully, Korea's law-makers will see the importance of this movement and ban alcohol on all university campuses in this country.